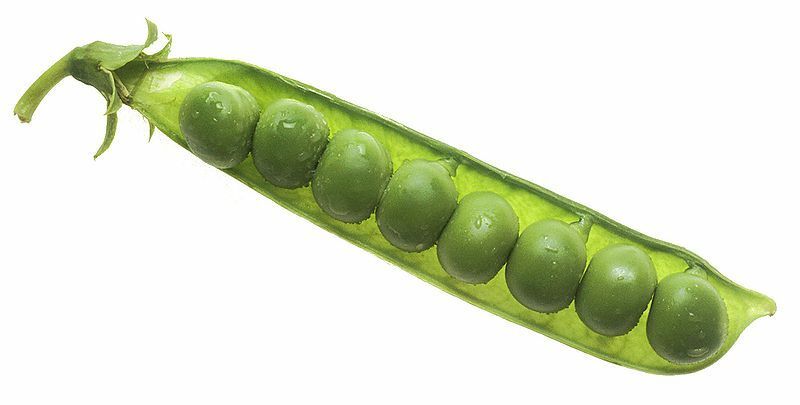 Peas are vegetables loved by the French. The pea season is very short: from May to June. Otherwise choose canned or frozen peas. Peas have more calories than most other vegetables (80 kilocalories per 100 grammes). Rich in fibre peas are also excellent sources of vitamins (A, B, C, E) and minerals. They are also a good source of vegetable protein. wrinkled peas, sweeter and larger. Fresh peas will keep for several days in their shells in a plastic bag in the vegetable crisper. More tender, mange-tout peas do not keep for more than 24 hours.